Jeremy Scott is a Partner in the Real Estate practice. Jeremy is a New Zealand qualified lawyer. After qualifying, Jeremy moved to the United Kingdom where he worked in a local authority and a national law firm primarily on real estate law related matters. Jeremy returned to New Zealand after several years where he specialised in commercial real estate and general commercial matters. A strong background strata laws and property development lead him to the GCC. 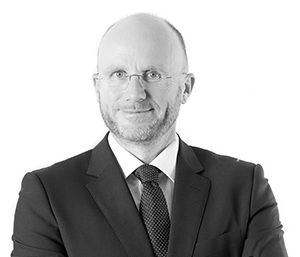 Since arriving in the GCC, Jeremy has worked with some of the region’s largest real estate developers (including a period in-house with a large Dubai government related developer) on a wide range of transactional, litigious and planning matters. He has also had the privilege of assisting RERA and the Dubai Real Estate Institute with their Jointly Owned Property (“Strata”) course which was used as the basis for training Association Managers in Dubai. Jeremy also has an interest in PPP arrangements is a member of our Projects Sector Group and Education Sector Group. Dubai Properties Group: – Assisting with the transfer/sale of Business Bay Phase III (now known as D3 or Design District) from Dubai Properties Group to TECOM Holdings including: investigating all underlying title and easement issues. Investigating the nature of the infrastructure completed and relationships between other phases of Business Bay (including in relation to the canal, sub-stations, compulsory acquisition of plots of land for the canal, canal maintenance obligations and RTA cost share obligations). Assisting with formulas for assignment of partially performed infrastructure contracts and warranties, preparing the sale and purchase agreement and framework arrangement for the completion of the transaction. Dubai Festival City LLC: – Assisting the client with the review of all infrastructure in Dubai Festival City and the interests of the various stakeholders including several residential apartment communities, a golf course, a regional mall complex and Marina, many corporate and office buildings. Issues covered included, responsibility for hard infrastructure, district cooling arrangements and cost recovery mechanisms, services to be provided at Master Community level rather than sub-community level, the nature of each sub-community and their relationships to the Master Developer, appropriate apportionments of costs in relation to diverse plots such as the golf course and apartment blocks. Preparing the Master Community Declaration, and several suites of sales documents for various sub-communities including titling and other considerations. Dubai Properties Group: – Developing a full suite of sales and strata documents for the range of Dubai Properties Group real estate projects including: Plot Sale SPAs, Master Community Declarations, Unit SPAs, Jointly Owned Property Declarations, Building Management Statements and Commercial Leasing documents. Detailed consideration of all Infrastructure obligations as Master Community level and ensuring that such obligations are passed through sales documents to other stakeholders in the Master Communities. Assisting the group develop their sales and strata processes and providing training and other assistance with this. Liaising with RERA, the DLD and other stakeholders to ensure compliance at all times. Cayan Cantara Limited: – Assisting the Joint Venture with a residential and serviced apartment project including assisting with the Jointly Owned Property and titling scheme comprising the sub-division of the building into components and sale off plan of residential apartments and serviced apartments subject to the Lease-Back mechanism. Preparing the Lease-Back and ensuring relevant obligations were back to backed with the Hotel Management Agreement. PPP and Infrastructure: Providing real estate support in relation to a DBOT arrangement for a clean coal Power Station, reviewing and advising on concession arrangements for completion of an Executive Jet facility at a local air-port using a musataha and concession agreement, advising on and reviewing various concession arrangement for the provision of District Cooling and other infrastructure in various master communities in the GCC region. Education Sector: – Acting for Innoventures in their negotiations with Emaar Properties PJSC in relation to a Joint Venture and ground lease and occupational lease arrangement for a school in one of Emaar’s new communities. Acting on numerous other private school arrangements involving ground lease and occupational lease arrangements. Bahrain Bay BSC: – Advising Bahrain Bay BSC in relation to the Bahrain Bay master community including assessing the mechanisms used to control this sub-developer lead community, considering the infrastructure and concession arrangements applicable, advising on how to rationalise the diverse roles of the master developer in order to ensure better management and cost recovery mechanisms. Advising on some important deficiencies in their master community scheme. IFA Hotels and Resorts: – Assisting with all aspects of a singly owned 12 tower community to be built to address the staff accommodation needs of various stakeholders including assessing debt and equity structures to finance the project, completing a DBOT arrangement comprising a musataha and occupational leases. Completing suites of community management, property management and development management documents with the institutional investor and the client. Ministry of Housing – Kingdom of Saudi Arabia: – Assisting the Ministry of Housing with their Jointly Owned (“Strata”) Property Laws including drafting the key law and providing this to local counsel for review, commenting on local counsel amendments, drafting the implementing regulations and providing to local counsel for comment and review and completed several training and briefing sessions with Ministry of Housing staff and other stakeholders. Three60/Tamouh Holdings: – Preparing suites of sales and Jointly Owned (“Strata”) Property documents for two master communities on Reem Island being Marina Square and City of Light including, considering all master community infrastructure, considering all services provided and relationships with stakeholders, working with the surveyors on all project parcels, easements and other arrangements including considering the marina parcel, a retail volume connecting to a mall, future development issues and various concession arrangements and working with the surveyors on the subdivision of buildings including layered schemes, building management statements and common areas. Working with the Department of Municipal Affairs on various implementation issues pertaining to Law No. 3 of 2015 and its Implementing Regulations. Jabal Omar Development Company: – Assisting JODC in the conceptualising of their master plan for Jabal Omar Development in Makkah including considering all parcels and connecting infrastructure. Preparing master community documentation and assisting with the sale and lease back of serviced apartments in a tower in Jabal Omar Development. 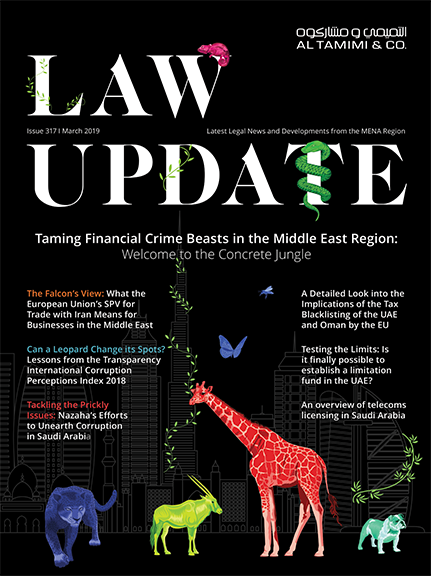 Considering the sales, strata and master community documents in light of probable changes in the KSA legal framework pertaining to real estate and the regulation of the sector.